Wagons are creeping back steadily into the U.S. car market. After Americans turned their backs on these utility five-doors at the start of the new millennium, we feared we’d never see a low-slung long-roof silhouette again. Thanks to some clever packaging by certain automakers, however, the wagon’s swagger lives on. There are a couple brands to credit with the wagon’s survival, including Volvo (which never really abandoned the traditional body style), but it’s Subaru that carved a niche to combat the SUV onslaught. In 1994, the Japanese automaker gave its all-wheel drive Legacy wagon additional ground clearance and released it into the wild. Its mating call was music to the ears of adventurous young families. The Legacy Outback (now just called Outback) continues to weather the SUV storm and has even given rise to several lifted wagon rivals like the Buick Regal TourX and Volkswagen Golf Alltrack. With over two decades of experience building an all-terrain wagon, Subaru isn’t ready to give up ground, though. The 2018 model year Outback introduces refreshed styling, an updated infotainment system, an improved Continuously Variable Transmission (CVT), a retuned suspension, and more standard features. Are these enhancements enough to fend off both affordable SUVs and stilted wagons? Let’s find out. Prices for the 2018 Subaru Outback 2.5i start at a reasonable $25,895 (plus $915 in destination and handling charges), but our test car is equipped with the 2.5i Limited package ($32,695 excluding fees). 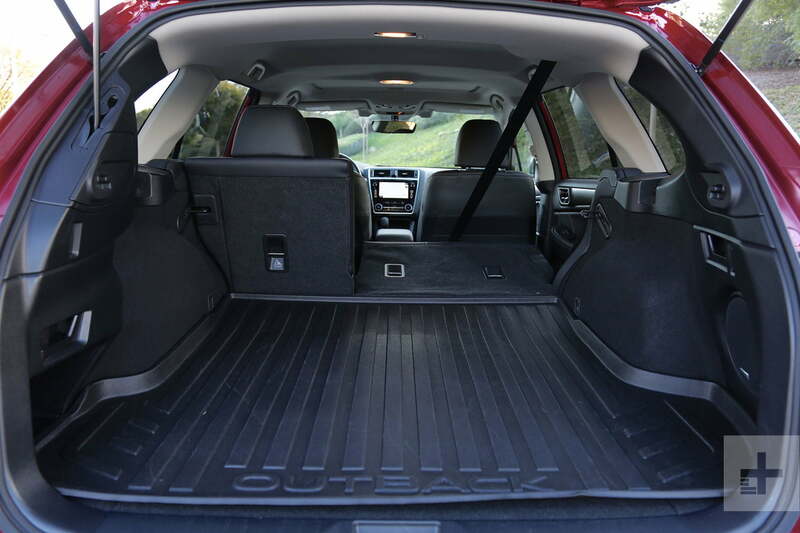 A fully loaded Outback 3.6i Touring will set you back $38,690. By comparison, the Buick Regal TourX starts at $29,070 and tops out at $40,005. Volkswagen’s Golf Alltrack checks in at $25,955 and can be loaded up to $35,660. For years, Subaru vehicles were well behind the interior technology curve, but those days appear behind us. Only entry-level Outback 2.5i models use a 6.5-inch infotainment system, but even that comes with Apple CarPlay and Android Auto as standard. Stepping up to Premium or above trims yields an 8.0-inch touchscreen with available navigation, real-time traffic, XM, HD radio, Bluetooth phone and audio support, voice commands, and several cloud-based applications. The system strikes a nice balance between touch and physical controls, including intuitive steering wheel controls. The screen isn’t quite as responsive as a smartphone, but it is snappy as infotainment systems go. Base model Outbacks include two USB ports for front passengers, and all other trims add two more ports for rear riders. Other convenience features of our 2.5i Limited trim include a power moonroof, keyless ignition and push-button start, a power tailgate, auto-dimming rearview mirror, heated leather front and rear seats, power adjustable front seats, and wood grain matte trim panels. 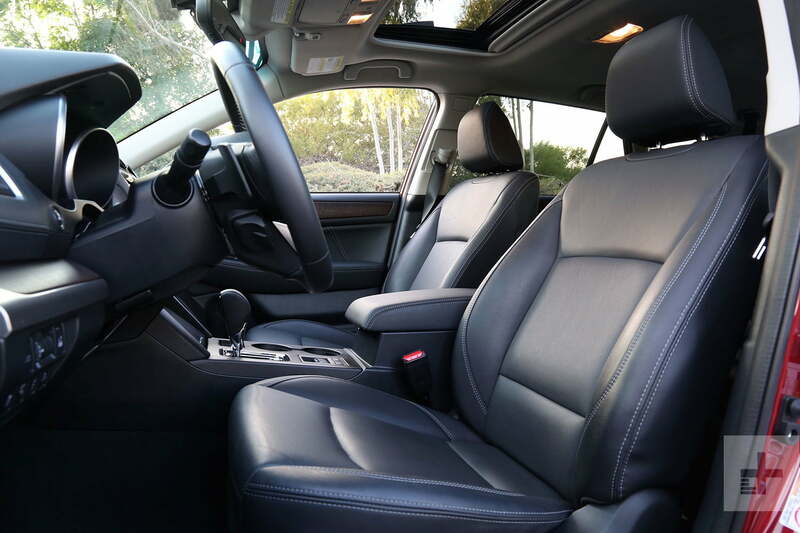 Fit and finish is superb, and though the higher trim feels worth the money, we estimate lower-option Outbacks convey equal quality. 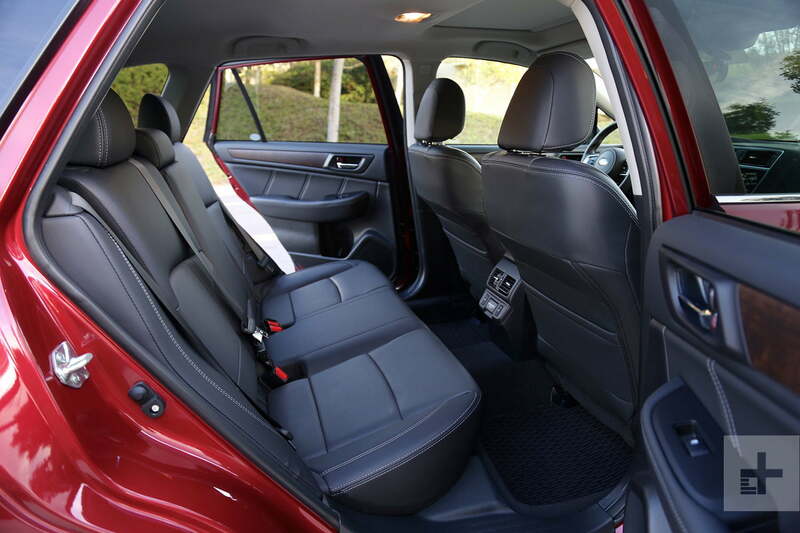 The Subaru Outback is a true five-seater vehicle, with good leg and headroom for front and rear passengers. Even with a full car, 35.5 cubic feet of cargo volume behind the second row affords plenty of space for a camping trip’s necessities. Neither the Golf Alltrack or Regal TourX can match the Outback’s interior storage. The Outback’s driving experience is characterized by its class-leading 8.9-inches of ground clearance and sophisticated drivetrain technology. While navigating busy city streets packed with SUVs, we appreciate the Outback’s taller seating position (compared to rivals and standard wagons). Off-road, the elevated vantage point helps drivers pick out obstacles. 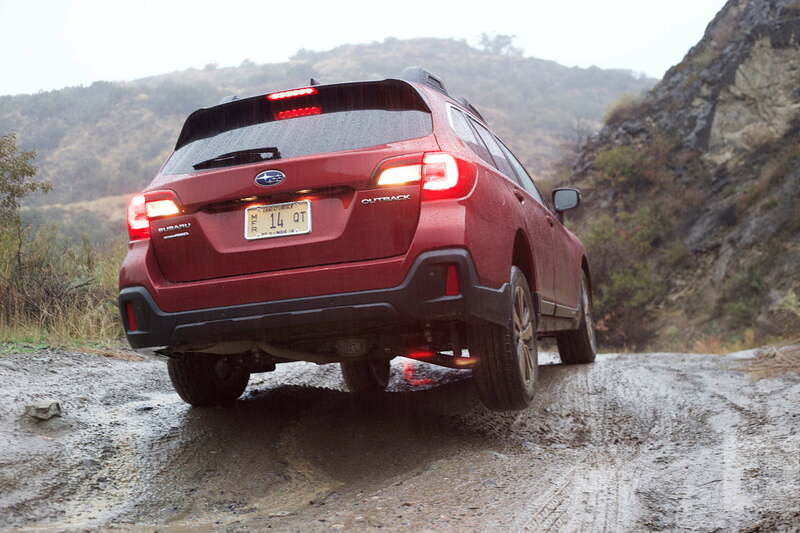 On all types of terrain, Subaru’s tweaks to the Outback’s suspension, brakes, and CVT pay dividends in comfort and confidence. Subaru’s tweaks to the Outback’s suspension, brakes, and CVT pay dividends in comfort and confidence. Every Subaru Outback is equipped with a CVT, permanent, symmetrical all-wheel drive, and torque vectoring. Buyers choose from either a 2.5-liter naturally aspirated four-cylinder making 175 horsepower and 174 pound-feet of torque, or a more robust 3.6-liter six-cylinder delivering 256hp and 247 lb-ft of torque. Fuel economy for 2.5 models is 25 city, 32 highway, and 28 combined. 3.6-equipped Outbacks are reduced to 20 city, 27 highway, and 22 combined. Four-cylinder Outbacks score 3 more combined mpg than the Golf Alltrack and six-cylinder versions earn 1 more combined mpg than the Regal TourX. At just over 3,600 pounds, the Outback is no featherweight, meaning its standard flat-four motor is working overtime in most driving conditions. Though the Golf Alltrack makes even less power than the Outback 2.5i, its 3,300-lb figure is hastier to 60 mph. With 250hp and loads of torque, the Regal TourX is quicker than both its rivals (regardless of engine configuration). Granted, this segment is not about exhilarating performance, and we can forgive the 2.5i’s dawdling acceleration, but it’s the lack of passing power at freeway speeds that might bother some drivers. Opting for the six-cylinder seems like an easy fix, but it comes at a real premium (the cheapest six-cylinder starts at $35,395). Apart from its straight-line performance, the Outback corners quite well and has one of the sharpest turning radiuses we’ve ever experienced. Navigating parking lots or turning around on tight trails is a breeze. Speaking of the great outdoors, the Subaru Outback defends its image as the adventure-ready soft-roader with a clever torque vectoring all-wheel drive system and a standard off-road driving mode. Subaru’s X-mode fine tunes the engine, transmission, torque split, and braking for slippery or off-road conditions. When climbing, the system retains lower gear ratios to apply more low-end torque to the wheels with the most grip (magically turning the Outback 2.5i’s meager output into effective grunt). On low-traction surfaces, the traction control system responds faster to any loss of grip. When descending, hill descent control takes over braking to avoid lock up and to cruise at a set speed (below 12 mph). This off-road toolkit, plus the generous ground clearance, gives the Outback a clear edge over both Buick and VW wagons. Safety is yet another of the Outback’s strengths. Both the NHTSA and IIHS award the 2018 Subaru Outback with their highest honors for crash safety. Active safety gadgets are equally compelling. Subaru’s Eyesight driver assist suite is optional on Premium and Limited trims ($1,995), and standard on Touring grades. Features include adaptive cruise control, pre-collision warning, lane departure warning, lane-keeping assist, blind-spot monitoring, rear cross-traffic alert, and high-beam assist. Apart from an overzealous forward collision-warning system, the Eyesight technologies are among the best in class. Subaru offers a 3-year, 36,000-mile new car warranty and 5-year, 60,000-mile powertrain warranty. For its segment, Subaru’s new car warranty is the least compelling. Volkswagen offers 6-year, 70,000-mile coverage, while Buick offers a 4-year, 50,000-mile warranty. Considering Subaru vehicles are well known for their reliability, we find it odd that the Japanese manufacturer doesn’t extend coverage to match rivals. Owners can at least take solace in the fact that their new Outback should motor on, trouble-free, well past the coverage period. With the cheapest 3.6-liter six-cylinder Outback checking in at a lofty $35,395, we’d stick it out with the 2.5-liter mill. 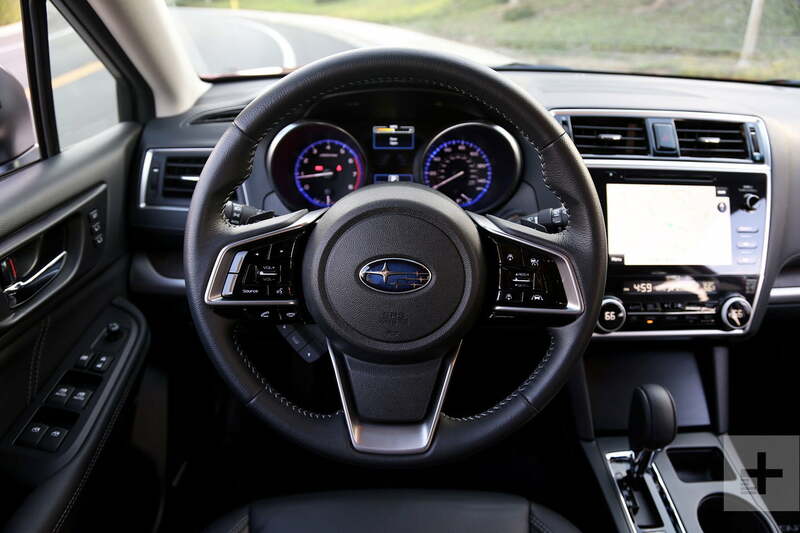 To unlock Subaru’s 8.0-inch Starlink infotainment system, dual zone automatic climate control, body-color side mirrors, a 10-way power driver’s seat, heated front seats, a leather wrapped steering wheel, automatic windows for front passengers, dual USB ports up front, dual USB ports in the rear, and the uprated six-speaker sound system, the 2.5i Premium’s $27,995 starting figure is well worth the small bump over a base model. Add to that Eyesight driver assist technology, blind-spot monitoring, rear cross-traffic alert, and a power tailgate for $1,995, and we’re all set. With the $915 destination charge, our ideal Outback comes to $30,905. In our eyes, the Wilderness Green Metallic paint over Ivory cloth interior is a perfect matchup. Since the Outback first rolled off the assembly line 24 years ago, Subaru has delivered the same capable, comfortable, and reliable vehicle. Incremental changes since its debut, including those introduced this year, broaden the Outback’s appeal far beyond its original, outdoorsy target market. Rather than Subaru sweating its new wagon rivals, other mainstream automakers should be concerned the Outback will steal customers from their compact SUV models. The Outback isn’t the most stylish crossover wagon in its class – that honor goes to the Buick Regal Tour X – and entry-level value for money favors the well-equipped Volkswagen Golf Alltrack. However, the Outback’s off-road capability, proven reliability, robust suite of driver aids, and class-leading fuel economy earn our full favor. With SUV ride height and wagon styling, the 2018 Subaru Outback is the best of both worlds. There’s simply no better all-terrain, all-purpose partner under $30K.